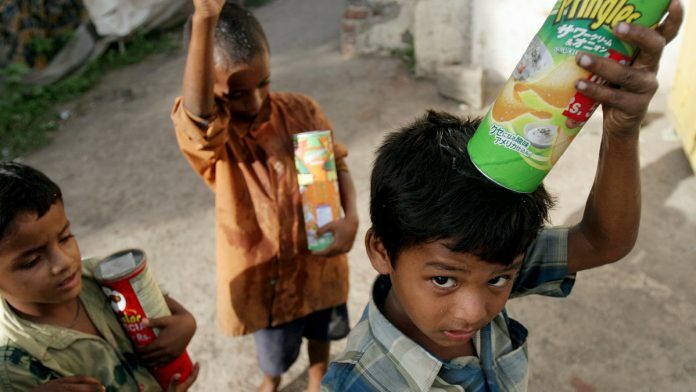 Bengaluru: A new UK-based University of East Anglia study shows children born into poverty have weaker brain activity. The study, conducted in rural India on children aged four months to four years, demonstrated that issues compounded when a child’s mother also had low levels of education. Lead researcher John Spencer stressed the “growing need to understand the global impact of poverty on early brain and behavioural development”. The impact of poverty on early brain and behaviour development is not fully understood just yet. Each year, over 250 million children in low- and middle-income countries do not reach their full developmental potential, show previous studies. Poverty and early adversities in life impact the development of a child’s brain to a significant level, and this often then translates to the inability to escape poverty, thus perpetuating the cycle. Developmental problems could be anything from low cognitive functions to stunting. “Previous work has shown that poverty and early adversities significantly impact brain development, contributing to a vicious cycle of poverty. But few studies have looked at brain function early in development,” said Spencer. “We wanted to find out more about the functional brain development of children born into poorer backgrounds — to see why many do not reach their full potential. This work is the first step in intervention efforts designed to boost early brain health before adversity can take hold,” he said. The results were published in the journal Developmental Science. The researchers based their study in Uttar Pradesh, India’s most populated state. In partnership with Lucknow-based Community Empowerment Lab, the research team recruited 42 children from villages around the Shivgarh area in the Raebareli district. To study and measure the brain activity of these 42 children, the researchers used a portable functional near infrared spectroscopy (fNIRS) device. fNIRS systems use near-infrared light on cortical tissue through electrodes placed on the head using a special cap. The entire system is linked to a computer which then “scans” the brain. The team studied children’s visual working memory: How well they’re able to store visual information in their brains and detect visual changes in their environment. “We use our visual working memory around 10,000 times a day. Children begin to develop this skill in early infancy and it gradually improves through childhood and adolescence. We know that it is an excellent marker of early cognitive development,” said Spencer. The test the children participated in had to do with identifying changes in blinking coloured squares on a display. The team first showed the children 10 seconds of two flashing displays of coloured squares. The squares were visible for 500 milliseconds (ms) and disappeared for 250 ms. While all the colours of the blinking squares remained the same, one random square on one specific side changed its colour. Each such test was followed by a grey screen for a break. The children’s brains were monitored to see if they looked to left or right to identify the block that changed colour. Such a test works well for children by 13 months of age provided they have normal cognitive development. The team also varied the difficulty level for different ages. Factors such as parental education, income, caste, religion, the number of children in the family, and economic status were taken into consideration with consent from the participants. The study found that children in India from families with low income and low maternal education showed weaker brain activity. They found that the brains had poorer distractor suppression in the left frontal cortex area that is involved in working memory, preventing the kids from focusing on a specific visual information. The team compared the results with an identical study performed on children in mid-west US. The University of East Anglia researchers also found that children belonging to a higher income household typically fared better on the test. Furthermore, not all children who participated in the test displayed similar results; cognitive ability was affected by different levels for different children. The study also found portable fNIRS tools effective, stating “our findings demonstrate that fNIRS is a sensitive assessment tool that can guide future efforts to overcome the impact of adversity on functional brain development”.